I think that everyone has gotten that old crack. Innocently, you ask someone wearing a watch, “What time is it?” “Time to get a watch,” they shoot back, smirking at their own cleverness instead of wasting three seconds to glance at their wrist and report the time. Well, I have one thing to say to you, wise-crackers: it’s not that easy. For weeks, almost months, I have been searching for a new watch. Armed with my wallet, I hunted in every store in this town repeatedly, both in person and online. I scoured Etsy. I browsed Pinterest. I’m fairly certain that less effort went into constructing Big Ben. There are several complicating factors to selecting a wristwatch. My requirements: it must be polished and stylish, but casual enough for everyday wear; it needs to be durable and high-quality, but not too expensive; any metal must be silver to match my jewelry; the color of the band can’t clash with my clothes; I have a very small wrist, so the face can’t be too big. My pursuit of the perfect watch made the search for the Holy Grail look like a Disney vacation. 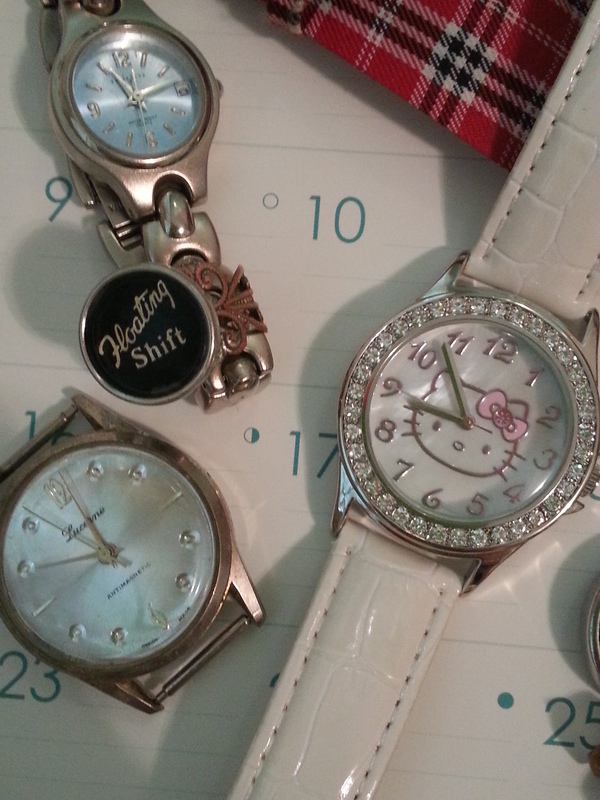 In my unending quest, I eventually stumbled upon a display of Hello Kitty watches. Immediately, memories of a shy, tow-headed six-year-old darted through my mind. First grade represented a major change for me. I was leaving the friends I had been going to school with for as long as I could remember. 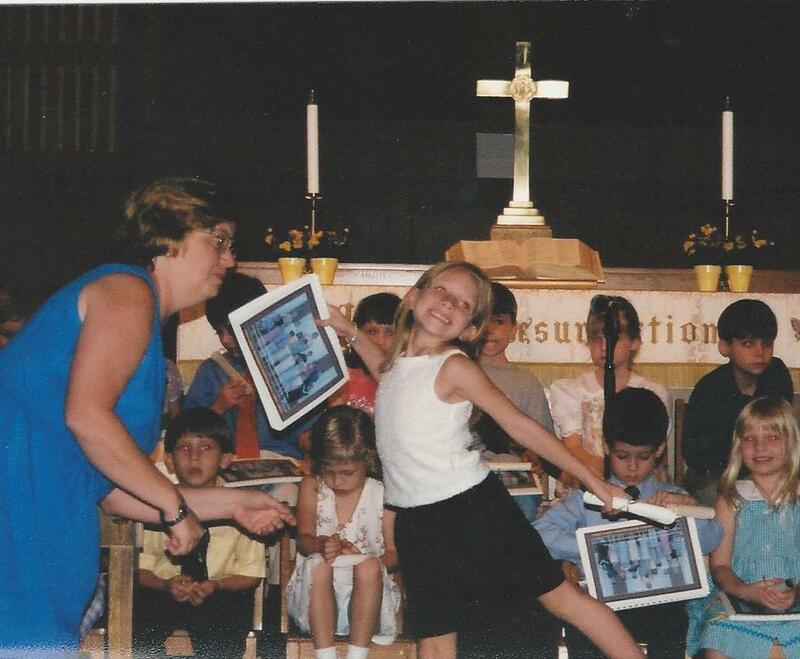 Me at my kindergarten graduation, posing with my diploma. School would no longer be half-days. I stopped signing my papers “Cat” (my favorite animal, which is what all of my friends called me) and I started wearing a uniform. 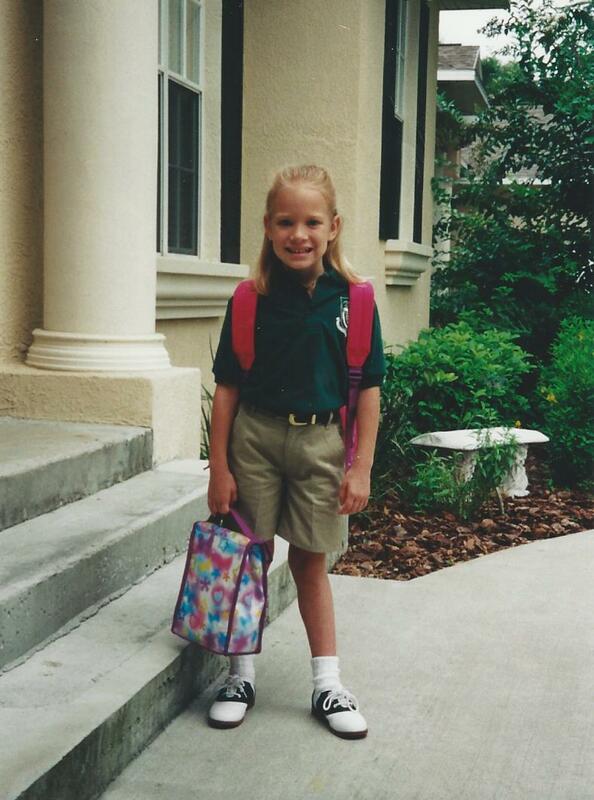 My individuality faded into khaki almost-knee-length shorts. My personality was stifled by collared shirts. My only form of self-expression was my backpack – a pink and purple monstrosity with Hello Kitty’s serene face on it. That backpack was my sole link to the little “Ali Cat” I was in kindergarten. As I prepare for another transition in my life – college – buying a Hello Kitty timepiece seemed appropriate in a sappy, metaphorical way. It seems like the closer I get to leaving, the more I want to retreat back into the little blonde who did an arabesque at her kindergarten graduation, who wanted to be a scientist so she could make magic potions, who dressed up as a cat every year for Halloween, and who – perhaps craziest of all – enjoyed math. But I’m not that little girl anymore. Not completely. Maybe that’s another quality of a “floating shift”: learning to float along, cope with, and overcome the constant shifts and changes in life. I’ve grown. More than that, I’ve matured. I hope that I’ve become someone who is kind and respectful toward others. A hard-worker. A good friend. I promise that I am the kind of person who will give you a straight answer if you need to know what time it is.